Eagles News · Jun 1 Spring ESPY Results are in. Congratulations to all of our student-athletes that represented the Eagles in the NOHS Spring ESPY Awards. Attention all ESPY winners, stop down to the athletic office to pick up your ESPY pin. And now for the Spring ESPY Awards Winners. Ben Tomcho (Track and Field) Junior – Ben, pictured on the far right above, has shined in the 400 meters and 800 meters this season. Ben ran a season best 2:03 in the 800 meters (4×800 relay) at the SWC championships. Ben also placed 4th at the SWC championships in the 400 meters (51.6) and was a regional qualifier in the 400 meters. 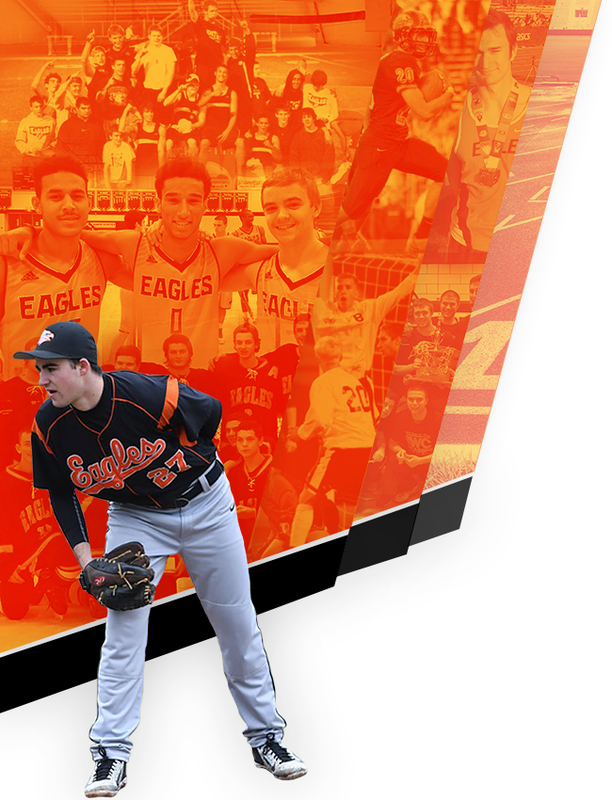 Owen Conway (Tennis) Freshman – Owen, pictured in the far right above, played 3rd singles for the Eagles varsity tennis team this past season. Owen placed 6th at the SWC Championships at Oberlin College. 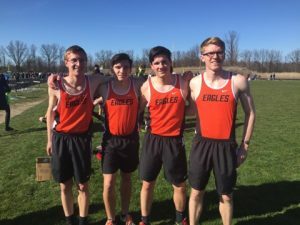 This victory for the Eagles at the SWC Championships helped the Eagles team finish in 4th place overall. 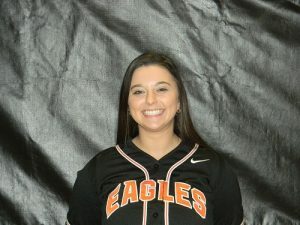 Izzy Reich, Pitcher, #9 (Softball) Freshman – Izzy started nearly every game at pitcher this spring for the Eagles. Izzy hit over .300 on the year and was a nominee for Player of the Week (week 5) in the Morning Journal & West Life Paper. 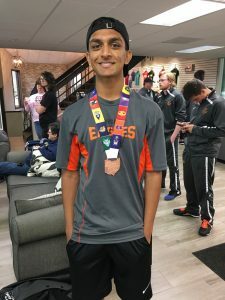 Saajan Patel (Tennis) – The senior Eagle tennis athlete was a three-year letter winner and 2 time Honorable Mention All SWC performer. This past season, Saajan placed 3rd at the SWC championships and was an OHSAA sectional quarter-finalist. On the season, Saajan posted a record of 11 wins and 6 loses. Saajan will attend The Ohio State University in the fall and study medicine. 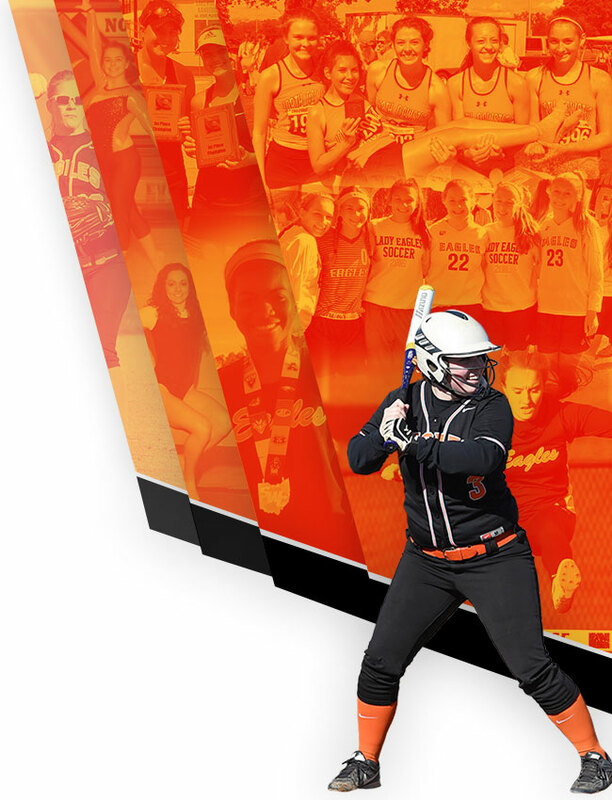 Cassie Burkey-Kubasky (Softball) #3 Senior – Cassie is the starting varsity catcher for the fourth season in a row. 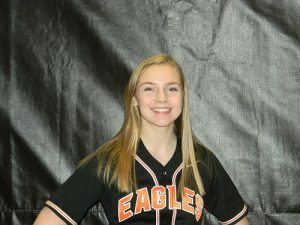 Cassie was the team captain, team MVP, and sportsmanship award winner for the Eagle softball team this past season. Cassie will further her education and softball playing career at Notre Dame College. Julia Scardina – (Track and Field) Junior – Julia, pictured in the back left in the photo above, is a two year letter winner for the Eagles. Julia finished in 7th place at the SWC championships in the discus with a throw of 98 feet 10 inches. 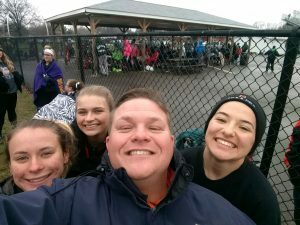 Julia also placed 5th at the district track meet with a season and career best throw of 109 feet 1 inch. 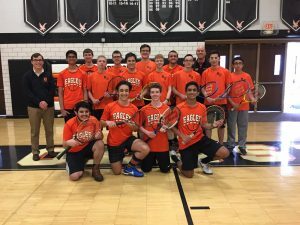 Boys Varsity Tennis – The Eagles varsity tennis team had a 4th place finish at the SWC conference championships this season. 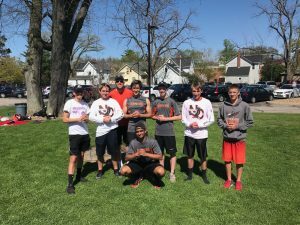 The team was led by senior Saajan Patel’s 3rd place finish at the SWC Championships and the doubles team of Lupu/Duncan & Lehmann/Mortensen 5th place finishes. Congratulations to all of our student-athletes and teams that have won a 2017-18 NOHS Espy Award! 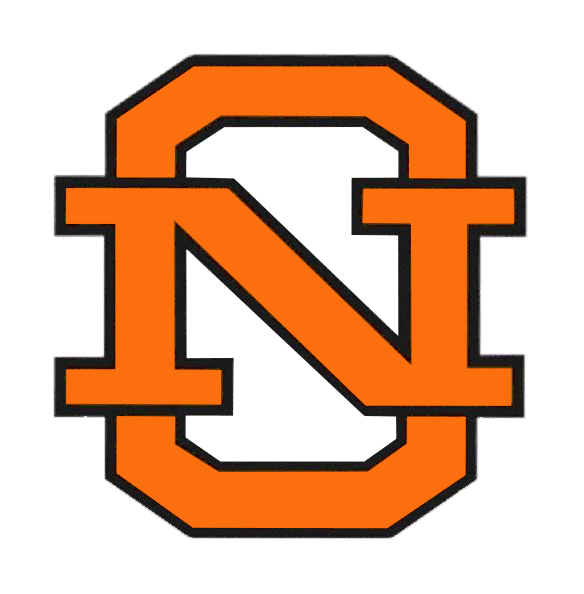 The spring sports individual winners will join the fall and winter season individual winners for a final end of the year vote for the 2018 NOHS ESPY Award. We sincerely thank you for all of the support and congratulations to all the student-athlete nominees and winners.